Madrid play Fuenlabrada in the Copa del Ray match but the coach did not say whether the 28-year-old Bale will start or come off the bench. Image Source : GETTY IMAGES A file image of Real Madrid. Gareth Bale is expected to make his return to Real Madrid's lineup in a Copa del Rey match this week after being sidelined for more than two months because of injuries. Madrid coach Zinedine Zidane said Monday that the Wales forward has recovered from a left leg muscle injury and will play at least part of Tuesday's match against Fuenlabrada at the Santiago Bernabeu Stadium. Bale hasn't played since Madrid's 3-1 win at Borussia Dortmund in the Champions League on September 26. Plagued by injuries this season, his latest ailment came in practice while trying to recover from another muscle injury. "He will be with us tomorrow and will play," Zidane said. "But I still don't know for how long he will play. We will see how the match goes." The coach did not say whether the 28-year-old Bale will start or come off the bench. 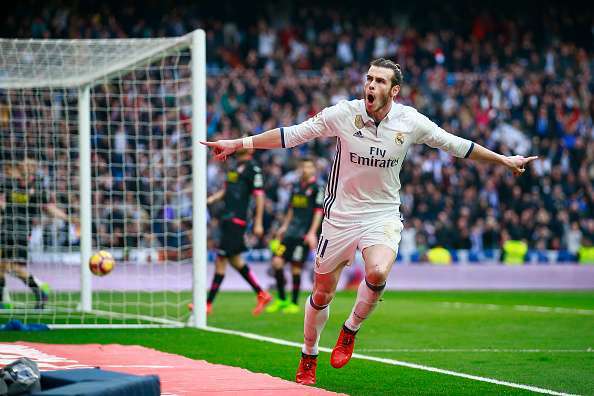 Bale has played only nine matches with Madrid this season, scoring three goals. He missed the final World Cup qualifiers with Wales, which was eventually left out of next year's tournament in Russia. Zidane said he is looking forward to seeing Bale, Cristiano Ronaldo and Karim Benzema playing together again, although that is not likely to happen on Tuesday. "We will take a look at some of the players from the youth team," Zidane said. "It's important to do that." Ronaldo and many other regular starters were left out of the first leg last month. Zidane said goalkeeper Keylor Navas is fully fit again and will be available for Tuesday's match, as will defensive midfielder Mateo Kovacic, who also had been nursing an injury. Defender Sergio Ramos, who broke his nose in the Spanish league match against Atletico Madrid nearly 10 days ago, has been practising with a protective mask but will not play Tuesday. In other matches this week, Barcelona defends a 3-0 first-leg win against Murcia, while Atletico Madrid looks to overcome a 1-1 draw against Elche.